You can’t move in London in 2018 without finding yourself near a gin bar or distillery, and in this episode we discover that this is nothing new. 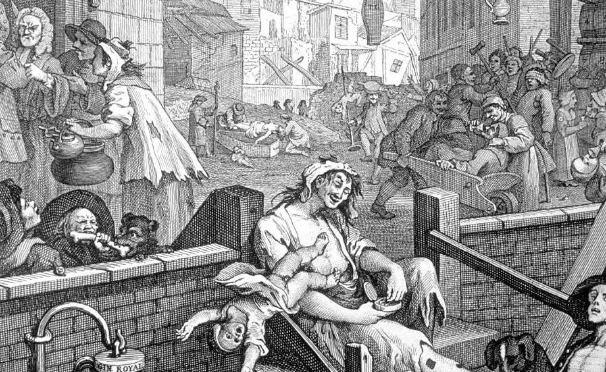 We learn about the public’s love of gin in the 1700s, and how the upper classes tried to take it away. Fortunately you can’t keep a good Londoner down, and we discuss gin vending machines, secret bars, and the moral panic around everyone’s favourite tipple. Also featuring: Satu’s no. 1 queen of all time, and we try some real gin. Spoiler: we are in no danger of moving onto Gin Lane.